When in Kyoto, you do as the locals do, and try your hand at making some great Japanese handicrafts. There is so much to try here in the old capital that you’re not going to get bored easily. One of the best parts of being able to try your own hands at these crafts is that you get to take the things you make back with you, so they’re lasting memories of your trip to Kyoto. 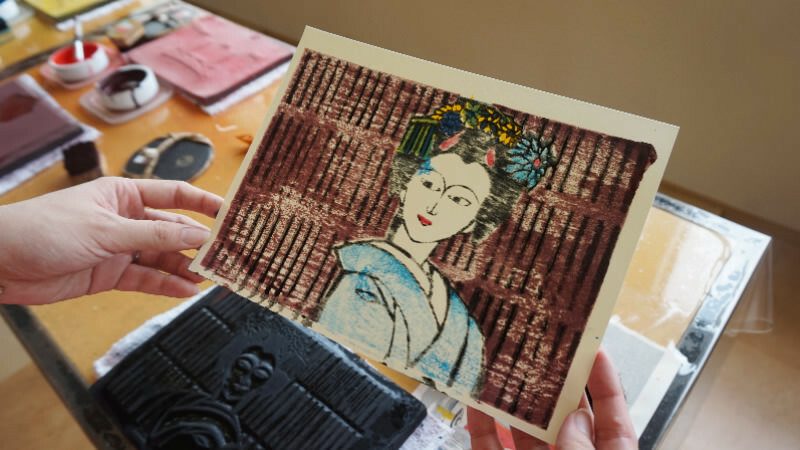 Kyoto Handicraft Center is a nice place to learn more about the traditional crafts of Kyoto, but it’s also a place where you get to try them yourself. 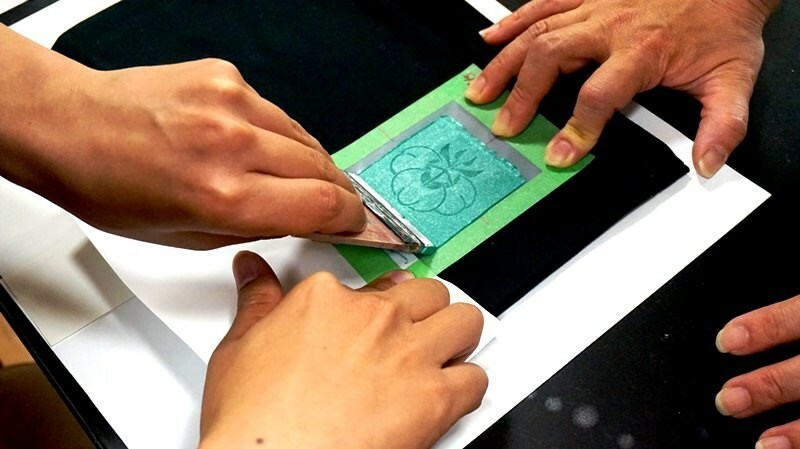 The woodblock printing you can try here is a lot of fun, and you get to make your own woodblock print unique with your own colors. They also offer accessory making classes. 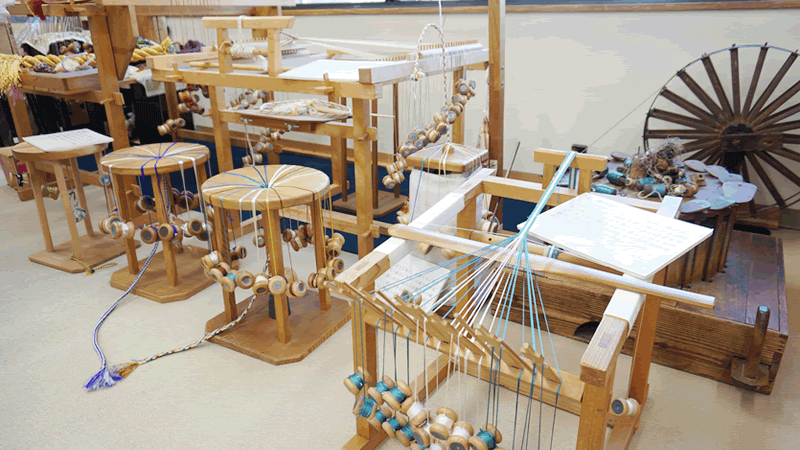 The classes take around 40-70 minutes and are an easy introduction to the world of traditional crafts in Kyoto. This is a traditional craft that was made popular by the anime movie “Your name” and it’s actually quite a fun activity. You get to braid a beautiful accessory which you can use to decorate your kimono or hair. A fun and easy activity to try in Kyoto! Kiyomizu-yaki may sound very difficult to make, but here at Mori-toki-kan you can try your hands at it. You get to do almost everything for yourself, and the fee for making a cup is pretty cheap at less than 3,000 yen. Firing the cup takes some time, so they will actually post the cup to you after they have fired it. Luckily they also do international shipping and you can usually have your cup in around 60 days. And as you can probably see, most of us are not naturally gifted at Kiyomizu-yaki, so consider buying some made by real artisans before heading back. 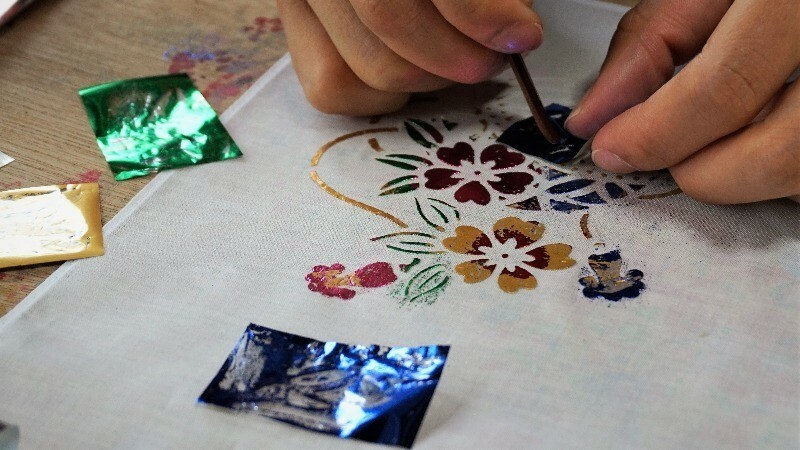 Yuzen is mainly known as a technique for dying kimono, but you can also use it to make a beautiful handkerchief. You do the dyeing by hand here, by pressing pieces of metal film against the handkerchief. The handkerchief will look surprisingly pretty, and this is the experience where the finished product will (hopefully) look the most professional. Another yuzen experience, this time with “surikomi-yuzen,” so you place a pattern on top of the item you want to dye (you can choose from many things such as t-shirts, luncheon mats, tumbler covers, and so on) and then use a brush to apply the dye. The best thing about this place has to be the variety – you get to choose what you’re going to dye and you can dye such cute motifs as maiko. Kamon are traditional Japanese house emblems (family crests) used to identify the person or place carrying it. And in Kyoto, you have a great chance of trying kamon dyeing yourself! 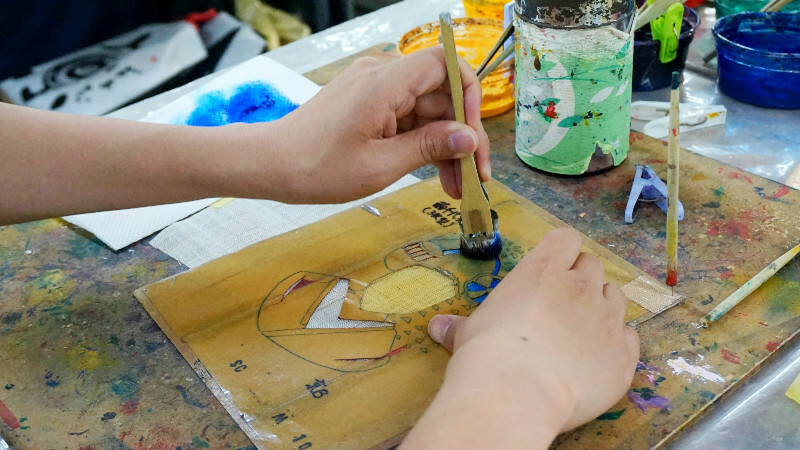 You get to dye kamon emblems on a special silk cloth, a specialty of Banba Sengyo. 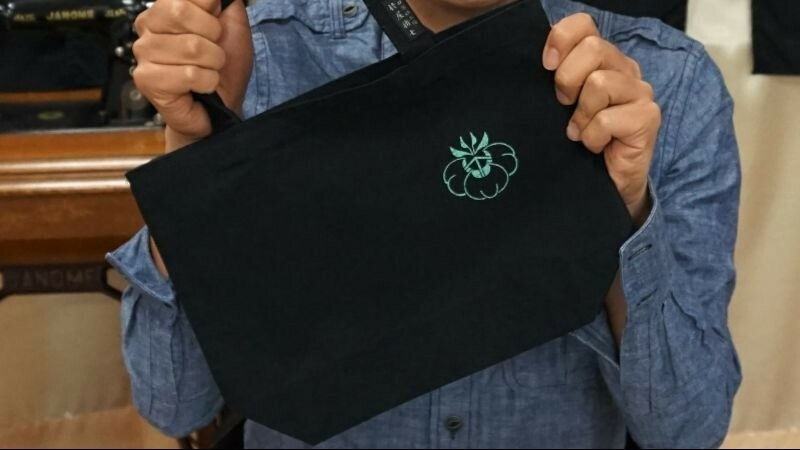 You can choose what you’re going to die with the emblem, so you can even make your very own cute little bag here! So easy – choose your emblem, then carefully paste it on top of it, and you’re done! 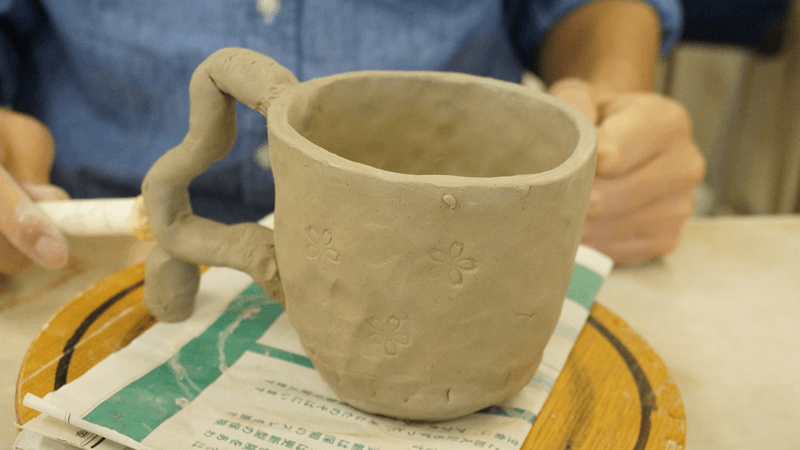 So, that’s Sharing Kyoto’s take on the traditional crafts of Kyoto, and as you can see, you not only get to see beautiful craftwork in Kyoto, but you get to also try making them. And what could be a better way of culturally enjoying your trip to Japan? Part 3Where to buy traditional crafts in Kyoto?